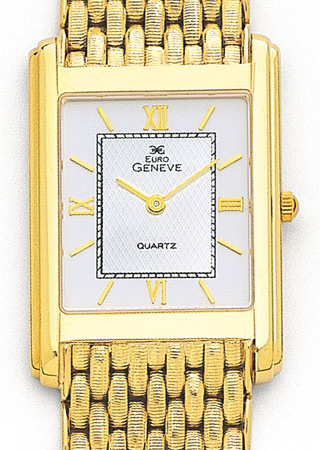 14K yellow gold ridged link watch with rectangular face. With white colored dial with gold hour markers and roman numerals, black minute markers and gold hands make this watch the perfect watch for your chassan. Watch Face Size: 1 1/16" x 1 7/6"